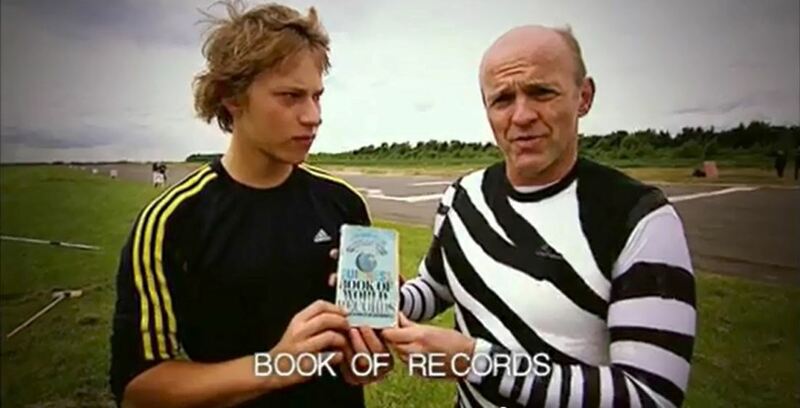 Roald Bradstock: The greatest world record ever – can it be beaten? Records are made to broken, that's just a fact. But there is one world record on the books that stands out above all others, one record that has held firm for a hundred and thirty-one years. This record was set a few months before England lost to Australia at the Oval for the first time in 1882 – which was the beginning of "The Ashes Test Cricket Series". Surely, this world record must get the added distinction of being "the greatest world record ever". So, who does this record belong to and what athletic feat did they do that has withstood the test of time – 131 years of time? The answer: Robert Percival, a left-handed, all-rounder cricketer, who back – way, way back – in April 1882 threw a 5 ½ oz cricket ball 140 yards and 2 feet (422ft or 128.6 m) on the Durham Sands Racecourse. The incredible durability of this record raises some questions though. Can Percy's throw be legitimate? Is it possible for him to have really thrown that far back in the 1880s? And if it is real, can his record ever be officially broken? There is no film of his throw – obviously – and no photographs, that I could find of the event. And the research I did showed there were a host of inconsistencies around this accomplishment starting with his name and place of birth, to what day and year he actually threw the world record throw. Also despite extensive press coverage of the two-day event in 1882, there is apparently no mention of throwing the cricket ball or even of Robert Percival, which if true seems a bit odd. It wasn't until the Sunday Chronicle Annual of 1905, some 23 years later, that definitive acceptance of his throw seems to have occurred followed by the initial mention in Wisden Cricketers' Almanack in 1908. So there has to be some sort of documentation, somewhere. Then in 1955, another 50 years later, the Guinness Book of Records came into existence and also validated the record. Now, here we are, 131 years later and the "official" world record for throwing a cricket ball is carved in stone, unbeaten, but its authenticity is still questioned by some and I would have to guess that number is growing as the years and decades go by. How is it possible that every other athletic accomplishment has been obliterated in the past century, except this one? There have been a few athletes that have thrown, or have claimed to have thrown, and surpassed Percy's record throw, including fellow javelin thrower Jānis Lūsis the 1968 Olympic gold medalist, but the distances have not been verified or accepted. With my passion for throwing anything and everything from javelins to snowballs, I couldn't resist seeing what I could do. So I finally put aside my traumatic experience in 1973 when I was charged with the most serious crime of "throwing" the ball when I was bowling at a school cricket match and then banned. My arm speed was labelled potentially dangerous for 11-year-old schoolboy cricket. I tried and tried again on five separate occasions to break the record of all records. The first four times – I was not even close – and even the fifth outing did not start out that well. On November 9, 2010 at the ripe old age of 48, I attempted to break the most unbreakable of records for a fifth and final time. On a fairly cool and windy day in Atlanta, Georgia I went to the track with some friends. I took just two throws with the cricket ball. The first throw was an unimpressive chuck of 119.46 metres but still better than anything I had done before on my previous four attempts. Then I took my second throw. I used a special "black" promotional cricket ball that Sky Sports had sent me, to try to beat the record. The measurement for this throw was 132.66m or 145 yards ½". So I had done it, but at the time I had mistakenly thought the record was 140.2 meters not 140 yards 2ft. It was nearly a year later before I realised my mistake and that my distance that day had actually surpassed Percy's record. In 2010, I surpassed Percy's record throwing 132.66m or 145 yards ½"
I posted the video on YouTube and submitted the throw for ratification to Record Setters, a contemporary American rival to Guinness that has less stringent requirements for ratification and it was accepted. I had two people filming and a spotter to pin point the exact landing spot and the distance was measured with a steel tape measure. So can this record of records be beaten? Yes. 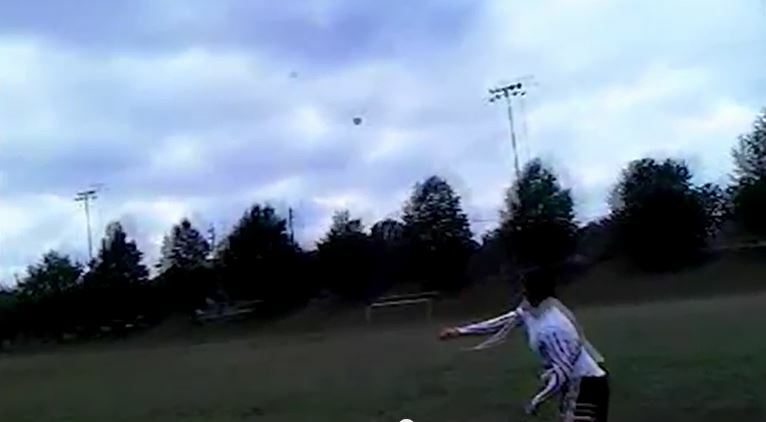 Will Guinness World Records ratify my throw? I doubt it, especially given my past experience when I tried to get my world record for throwing a golf ball of 121.91m in 2001 certified. Despite having three spotters – one of which was American 2007 world champion and 2012 Olympic bronze medalist shot putter Reese Hoffa, two officials, film, a surveyor's official certified measurement, a logbook and signed letters from everyone, it still wasn't accepted. All the paper work has been posted on my website for over a decade. So it looks like Percival's record will remain the "officially" recognised record from Guinness World Records. I can't claim that record officially, maybe semi-officially. So for now I'll just throw it on the pile with my other "unofficial" world record throws – which include 154 yards with an iPod, 132 yards with a mobile phone, 112.10m with a vinyl record and 53m with a 1976 Guinness World Records Pocket book. I have enough "official" records with the spear. I figure I can balance them out with a few unofficial and semi-official records, right? So if you get all the right officials in place, have great wind conditions, and get a good spin on the ball and then throw the hell out it you've got a chance of breaking the oldest world record on the books. But who is going to be able to throw that hard that could possibly beat the distance: a javelin thrower, a cricketer, a baseball player? And therein lies another issue with why this record has been so resilient. To throw 140 yards plus you are going to need a very high release velocity – 115mph plus. Maybe even closer to 120mph as it estimated that Glen Corbous, a Canadian minor league baseball player must have thrown in 1957 when he threw a 5 ¼oz baseball for a world record distance of 148 yards 1ft 10" (445 feet 10") which still stands today. Most of the people that have the ability to beat this record will not risk injuring themselves and ruining their sporting careers. My guess is the pool of potential participants will be limited to young up and coming athletes or older athletes at the end of their career, or way past the end of their career like myself. So as I sit back in my armchair I am content with my 40-year athletic career. I made a few Olympic teams and broke a few records along the way. I have had more fun these last few years wearing ridiculous flamboyant hand painted outfits, throwing bizarre objects and breaking and setting official and unofficial world records. Breaking Percival's world record and have it be recognised by Guinness and/or Wisden would have been a sweet bonus, but it's not to be. So with a just a month until the 67th Ashes Series begin between England and Australia I look forward to seeing Robert Percival's world record finally beaten – officially – sometime within my lifetime so his record and cricket ball he threw that day can finally be put to rest. Roald Bradstock represented Britain in the 1984 and 1988 Olympics and in 1996 was an alternate for the United States Olympic team. Bradstock competed in the 2000, 2004 and 2008 United States Olympic Trials. He has now switched his allegiance back to Britain. 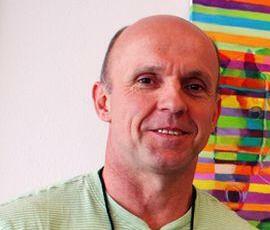 In addition to being an Olympic athlete, Bradstock is also an Olympic artist dubbed "The Olympic Picasso"